I have been involved with music business for over forty years and in that time I have written many sleeve notes for commercially released albums on many record labels and for many major artists. Some of these notes will be appearing on the website along with some excerpts from books I have published. I have published two editions of my Yes book. The first edition was published ion 2014 and was entitled Time And A Word: The Yes Interviews. This was a very expensive and very limited edition book now out of print. A further edition was published a year ago in early 2017 and was entitled Dialogue. It came in a Roger Dean designed cover and was a Yes sanctioned release. a few copies of this limited edition may still be available at the publisher here. 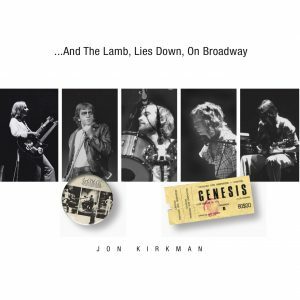 Another book about to be published in May covers the Genesis album The Lamb Lies Down On Broadway. The book can be ordered on this page. There is also another book collecting a selection of interviews I have conducted and that book is entitled Tales From The Rock Vaults: Volume I. As the title suggests it is the first in what will become an ongoing series of books. We hope you return regularly to this page to see what other books and publications I have been involved in over the coming months. 2018 will be a busy year with much to come.